Classic Personal Checks Show Your Love For Old Style. Discover sophisticated and timeless classic personal check designs featuring simple patterns and textures as well as artistic choices! Add just a touch of class whenever you use our traditional checks from Value Checks. Even though there are thousands of artistic check designs for customers to choose, sometimes the classic personal checks are the way to go. Checks without a lot of extras are the winners in this collection. Most traditional classic checks come in a variety of colors. You'll find the plain classic check designs are simple and elegant. Just right for many people. 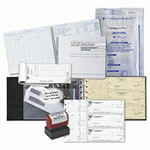 Our cheap personal checks are created with premium-quality check printing. You get high quality checks for a low price. It's not too late to find the perfect classic personal check. Order now! Thank you for shopping at Value Checks where you can order cheap personal checks with fast shipping and get a great bargain!